Relationships Australia Canberra & Region is governed by a Board which operates within the parameters of our Constitution to ensure the wellbeing of people living in the ACT and southern NSW. The Board exercises a consultative and participative approach to its areas of governance responsibility: leadership, planning, policy, monitoring results, financial matters, employment of CEO, risk management, accountability, external relationships, and Board performance. The Board has a mix of skills, including in the areas of finance, legal, regional and rural, research and policy, marketing and communications, Indigenous and culturally and linguistically diverse (CALD) communities and consumer groups. Jim Dunn has been a member of the board since 2000, he became Chair in 2012. Jim has practiced as a Family Lawyer since 1978 and in Canberra since 1992. He is passionate about helping couples resolve issues arising out of their separation without resorting to Court. In his practice he has always used Relationships Australia for Mediation and Counselling support. Jim advocates Collaborative Law as the preferred way for lawyers to help couples reach agreement in difficult cases. Lorraine has extensive experience in senior management positions in both the private and public sectors. Lorraine is a chartered accountant with over 20 years financial management and systems consulting experience with PricewaterhouseCoopers both nationally and internationally. Since 2000, Lorraine has had a number of challenging positions with the Departments of Defence and Finance and Deregulation addressing government business enterprises, enterprise applications implementation and support, financial management and whole of government procurement. Lorraine has particular interest in good governance, change management, planning and service delivery. She joined the RACR Board in 2005. Professionally, Peter was involved in the Commonwealth Public Service for some 40 years – mostly in Treasury, Prime Minister’s and PM&C, and as CEO of the Human Rights Commission 1981-86. He then joined the ANU as lecturer and then Adjunct Professor. Peter's interests have focused mainly in policy administration, in the law, and in community welfare. During almost all of that time, Peter has had an association with RACR, which has over its nearly 70 years developed enormously. Sue Lyons over her career has enjoyed working with people. Her experience has included Coordinator of Parent Support Service, Manager of Women’s Information and Referral Service. Involved in establishing a Birthing Centre, Facilitation of groups, General Manager of Business Development for a national Health Company and a range of consultancy work assisting companies to respond to Tenders. She is involved in voluntary work with local organisations and enjoys running, swimming, reading and spending time with family and friends. She has been a member of the Board of Relationships Australia (Canberra and Region ) for several years and was President from 2007 to 2012. Jeremy holds degrees in Law and Science and is an Accredited Family Law Specialist Lawyer. He has close to 20 years’ experience as a private legal practitioner. Jeremy has been a board member to the Relationships Australia Wagga Advisory Committee for over 5 years and is now Chairman. An active member of the community of Wagga Wagga and the NSW Law Society, he has served on numerous committees. Jeremy was appointed to the RACR Board in December 2012. Paul has more than 25 years’ experience working as a social worker, manager and senior executive in human service organisations in the government and community sector. His experience includes work in education and health settings, in mental health, youth justice, child protection, out of home care, disability, child care and early intervention. He is currently the Director of Early Intervention and Prevention Services and the Director of Aboriginal and Torres Strait Islander Services, in the Community Services Directorate, ACT Government. Paul is a Consulting Editor for Youth Studies Australia. He joined the RACR Board in 2012. Ewan has over 25 years’ experience in the IT industry. 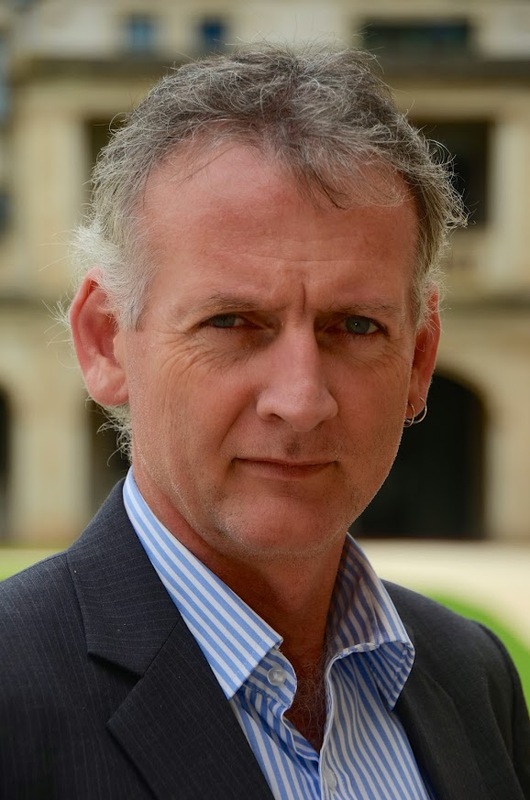 Currently Chief Information Officer with Australian Maritime Safety Authority, he has worked in various private and public sector organisations including Unisys, CSIRO and through his own company. His areas of focus include IT strategy, business and IT collaboration, and innovative use of information and technology to meet citizen and community needs. He is the chair of the Commonwealth CIO Forum and participates in IT mentoring programs, particularly for women in IT. He joined the RACR Board in 2013. Peter is a Fellow of the Institute of Chartered Accountants with over 25 years’ experience in Private Practice predominantly in businesses he has established himself formerly Beames & Associates and more recently DPR Accountants and Advisers. Peter spent the first 7 years of his career with Ernst & Young. Peter specialises in providing financial, commercial and profit improvement advice to SME’s. Peter has also served as a Director of several Community groups including Basketball ACT and the Eastlake Football Club. Peter Beames joined the RACR Board in May 2016. Greg is a long-term resident of Canberra with extensive background and experience in communications and community engagement. Greg is currently the presenter of the Saturday Breakfast program on ABC Radio Canberra, and also the Communications Manager for Calvary Public Hospital Bruce. Both these roles provide Greg the plural responsibility of passing information to the community and also hearing the needs of people within the community – particularly vulnerable people and people with ongoing or occasional specific needs. Greg joined the RACR Board in May 2017. Nicole has had over 25 years’ experience working in the Australian Defence Force and has performed a wide variety of roles although her main areas of specialty are logistics and training. A new member of the team, she is very excited to have the opportunity to contribute to such a highly regarded and hardworking organisation that does a difficult but amazing job supporting its community. Nicole joined the RACR Board in Mary 2017.